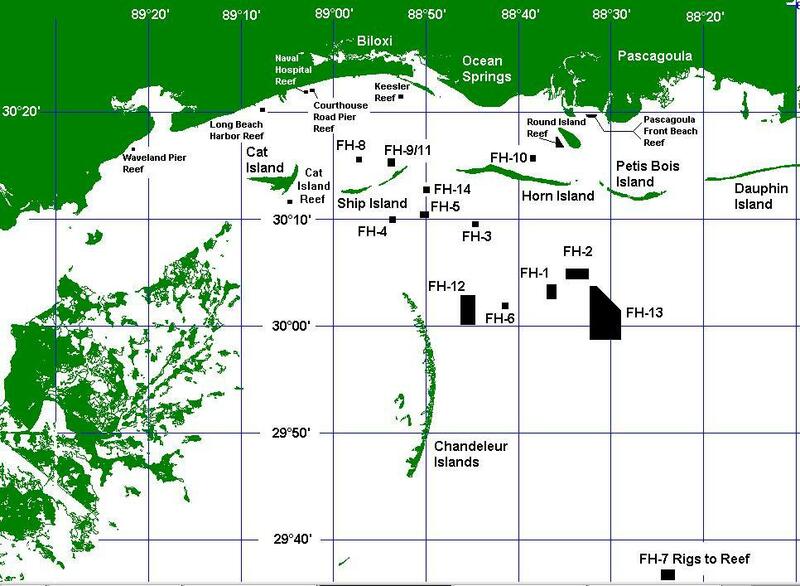 A map showing the Fish Haven locations in the Gulf of Mexico, off the the coast of Mississippi. 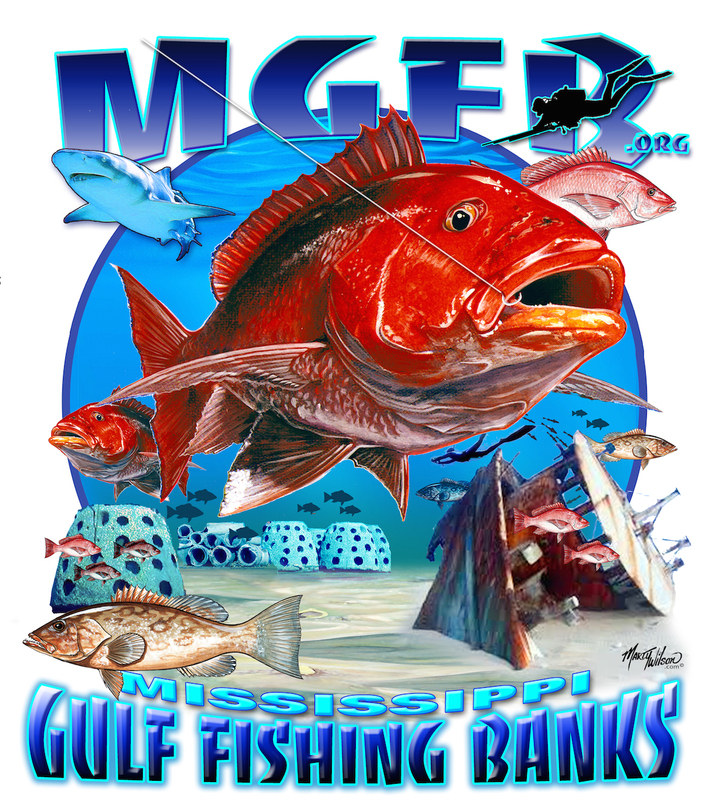 A list of coordinates for the Fish Haven locations in the Gulf of Mexico, off the the coast of Mississippi. Depth=63-68 feet; Clearance 42 feet. Depth=54-56 feet; Clearance 30 feet. Depth=45 feet; Clearance 30 feet. Depth=29 feet; Clearance 23 feet. Depth=35 feet; Clearance 25 feet. Depth=55-75 feet; Clearance 45 feet. Depth=125-130 feet; Clearance more than 85 feet. Depth=15 feet; Clearance 12 feet. E-88°53.600' W-88°54.300' Depth=17-18 feet; Clearance 12 feet. Depth=9-14 feet; Clearance 7 feet. Depth=40-45 feet; Clearance 32 feet. Depth=65-89 feet; Clearance 63 feet.